I walk loops around our backyard for the exercise, and so I can watch for any photographic opportunity. 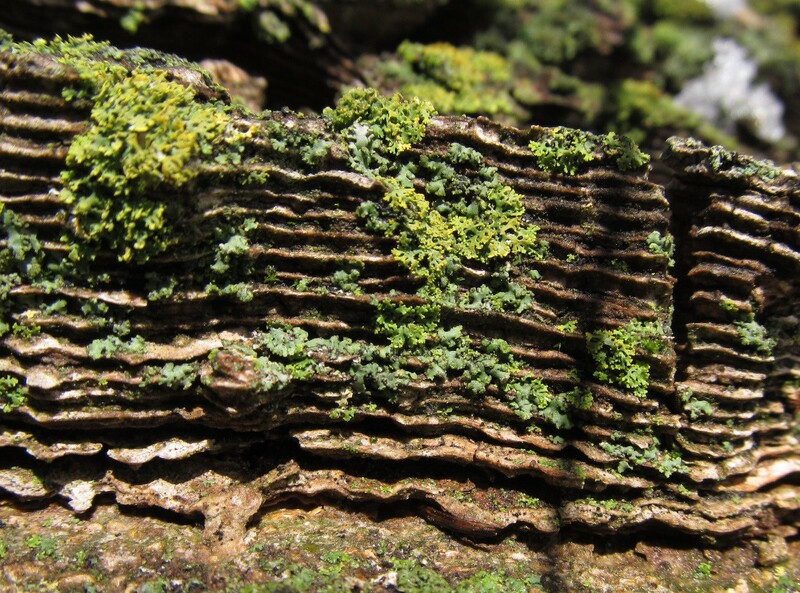 Lichens are common on both live and dead wood. 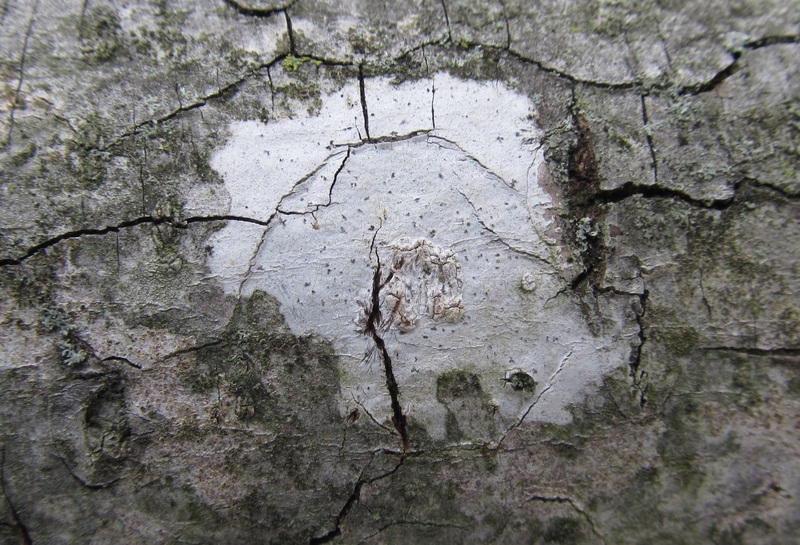 The Whitewash lichen (Phlyctis argena) above is similar to Common Button lichen (Buellia stillingiana), which has more black dots. The spores are produced in the dots, called the apothecia. I rotated this and the next picture, because it makes it easier to see the lichens. Candleflame lichen (Candelaria concolor) is the yellowgreen one on the bark of a hackberry tree. Research online shows that its color can vary. 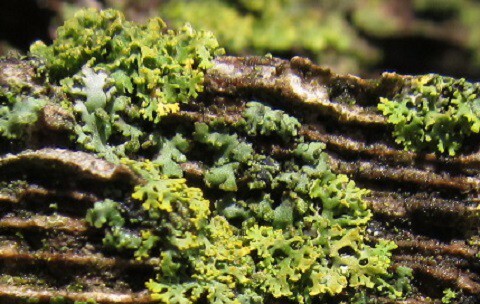 My Lichens of the North Woods book gives 0.1-0.5 mm for the width of the its lobes!